If you’ve ever sipped morning coffee while checking your garden for overnight growth, or sunk your teeth into a tomato still warm from the sun, you know that growing your own food can be a powerful antidote to the ills of modern life. That isn’t always easy in Park City’s alpine environs, but don’t worry. You don’t have to go it alone. 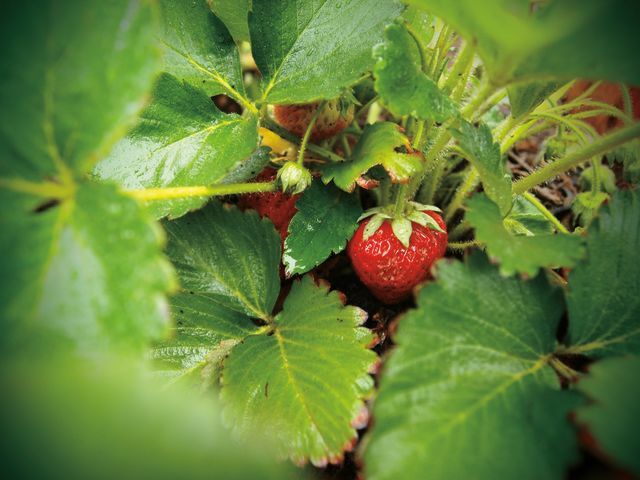 This summer two new community gardens are taking root in the Snyderville Basin, each with the intent of sharing tips, tricks, and a love for all things green. 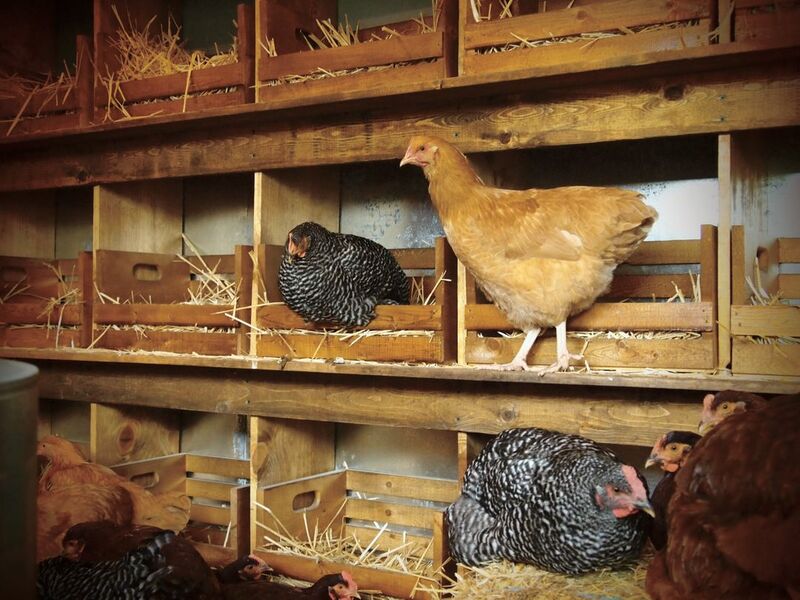 Fresh eggs are among the offerings at the Bill White Farms’ farm stand. Dressed in a blue-and-white plaid shirt, worn jeans, and boots, Bill White looks more like a rancher than Park City’s most successful restaurateur. His eyes light up when he talks about his “labor of love”: a two-acre parcel of land along Highway 224 in the heart of Snyderville Basin. Ever since he bought the property and started pushing dirt around there several years ago, the town has buzzed with rumor and conjecture about what’s going on at Bill White Farms. “We receive more calls with questions about the farm than all of our restaurants combined,” says Bill White Enterprises operations director Mary Potts. The Hixton farm was one of several working ranches occupying Snyderville Basin before it was developed into the residential area it is today. All the land was eventually sold off in pieces, save for a small plot that was zoned for a single-family residence. “I thought it was a huge, neglected portion of our community,” White says, adding that he tried to buy the land four times before finally succeeding. What he eventually got in the deal includes a small shed that once housed laboring cows, a garage, and the farmhouse. White is restoring the latter himself with wood salvaged from what once were Park Avenue brothels run by Mother Urban, Park City’s most notorious madam. Organic waste from White’s restaurants fuels the farm’s compost pile which, in turn, is used to fertilize the crops grown there. 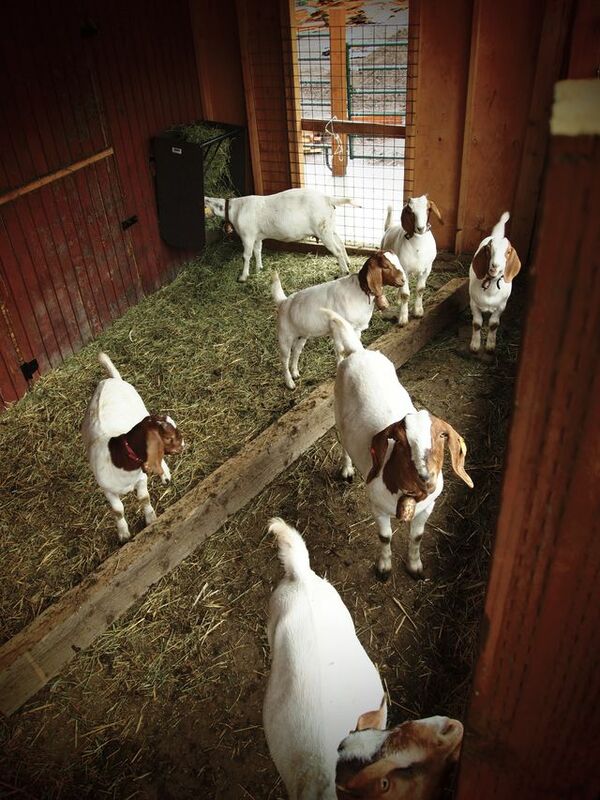 Bill White Farms’ public operations slowly began to take shape last summer. White and his staff hosted a few farm-to-table affairs in the cozy, 24-seat reception hall (previously the garage), charity dinners supporting such causes as the Ted Ligety foundation and the National Ability Center. In addition, three passive greenhouses were added, along with hives for 100,000 honeybees, 65 apple trees, and 150 hens. Still, the farm doesn’t exist to serve White’s restaurants. It’s the other way around—the kitchens supply mountains of organic waste that fuel the farm’s compost heap. In addition, White and his team will begin work this summer transforming recycled shipping containers into aquaculture habitats for fish and native frog species even as they launch a farm stand to sell eggs and other produce. And by June, White will make good on his farm’s mission to host school groups and teach kids how to grow healthy food without the use of pesticides. 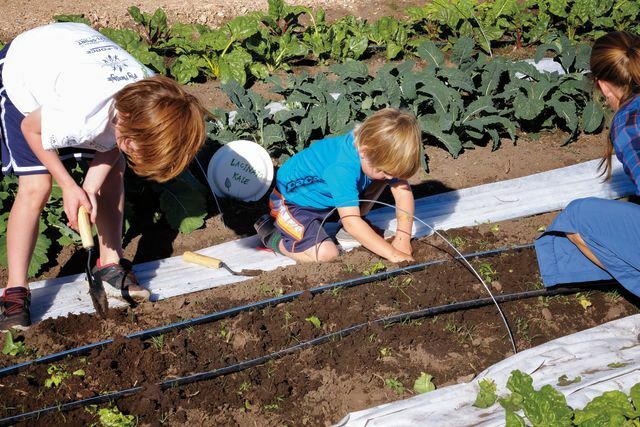 Plots for rent, garden classes for all ages, and events from yoga classes to live music are just a few of the happenings at the new Summit Community Gardens. If the debut this summer of Summit Community Gardens feels a bit like déjà vu, well, that’s because it is. The gardens, located on land along Highway 224 where Miss Billie’s Preschool used to stand, originally opened in June 2011. But with volunteer-only oversight and no fencing—which allowed multiple critters to help themselves to the produce grown there—it wasn’t long before the project was on life support. “When I got involved a few years ago, the garden was at the point that it either needed to fade away or be taken to the next level,” says Ken Kullack, Summit Community Gardens executive director. The SCG board, headed by Copper Moose Farms manager Daisy Fair, chose the latter option and hired Kullack to execute their vision for a place to gather, learn, and grow. “The past two years have been all about getting ready,” Kullack says. The first step was remediating the previous garden site to bring it back to its original, natural condition. The garden was then moved off the highway, bringing it closer to Matt Knoop Memorial Park to take advantage of existing infrastructure. Next, Kullack and garden manager Lynsey Gammon implemented board member Ariel Vernell’s unique circular garden design. And with lots of help from Snyderville Basin Recreation District ground staff, Kullack and Gammon installed a drip irrigation system, prepared the soil, started a compost pile, planted a variety of pollinator plants, and oversaw installation of all-important deer- and moose-proof fencing. Along the way, Kullack secured 501(c)(3) nonprofit status for the gardens as well. “Not an easy process but one we felt needed to happen to help the gardens succeed over the long term,” Kullack says. 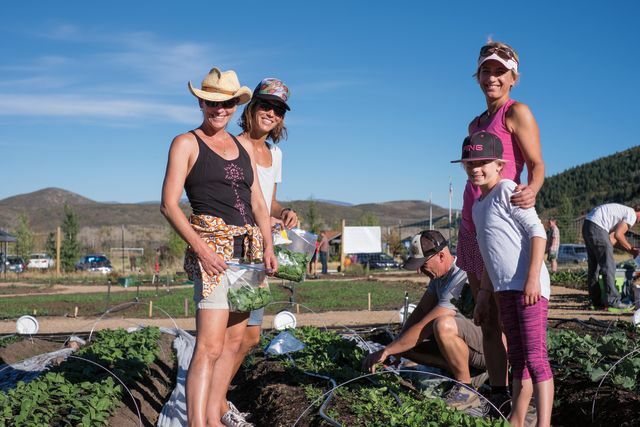 Summit Community Gardens’ (4056 Shadow Mountain Drive, adjacent to Matt Knoop Memorial Park) Grand Opening and Frost Free Festival is scheduled for June 18. For information about ongoing events, classes, and volunteer opportunities, visit their website. Deer Valley Resort now rents about a dozen plots for its employees to use free of charge. 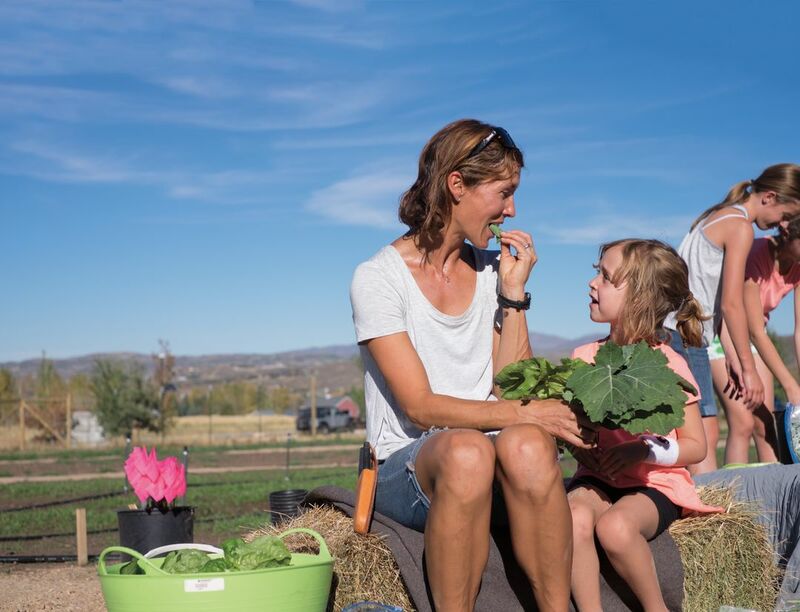 “Being involved with the gardens is really about Deer Valley answering our employees’ wants and needs,” says Jodie Rogers, the resort’s director of food and beverage and a Summit Community Gardens board member. “I’m so excited about this garden that I’m going to skip planting one at home and, with my husband and kids, do all of our gardening there instead,” Rogers says.